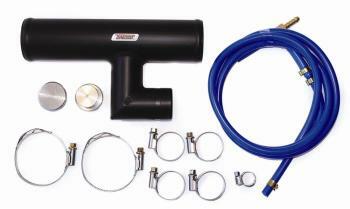 All Turbosmart Mutli-Fit BOVs come with a Stainless Steel Weld-on Adapter which will suit most applications. The extended range of Universal BOV Adapters have been designed to cater for modified, space or access-restricted engine bays. They allow for simpler fitting, easier access and better looking BOV installations. Most kits can be fitted in under an hour with no specialized tools, custom fabrication or welding. Because all the parts come from Turbosmart you can be assured of accurate fit and performance of the system.